Let me start by saying that I do take supplements for various reasons whether it be managing health, managing sleep, or managing muscle. My outlook on supplements however has certainly experienced a lot of changes over time as the my understanding of the supplement industry continues to grow. An outlook that has grown from impulse purchases to investigative processes. While I feel supplements have helped me, the supplement industry has provided an even larger service in helping me spend my money. When looking at the present and projected growth of the supplement industry I have a feeling I may not be the only one. For that reason my most reliable piece of advice related to supplement use does not come in the form of result but in a reminder. A reminder that we are consumers within a system that relies on us continuing to do just that. That being said, as consumers we are the ones with the power. And in most cases, knowledge is power. We now have the ability to research a car top to bottom before receiving the song and dance from the dealer. We can scour through travel websites to get the sometimes biased, sometimes unbiased and often animated customer feedback prior to booking. Thankfully, the supplement industry has found an unbiased savior in examine.com. An independent organization dedicated to providing unbiased information related to nutrition and supplementation by going through the vast amounts of research and expressing their findings in a format very friendly to a mainstream audience. Not to sell you supplements but create a higher level of knowledge toward products that you are not only purchasing but ingesting. They knocked it out of the park with their Supplement Goals Reference Guide. 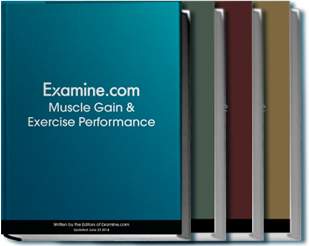 However they have decided to out do themselves again by launching their Supplement Stack Guides for anyone seeking out greater validity in the supplements specific to personal preference. The stack guides cover sixteen topics. If supplementation is a part of your day to day I cannot say enough good things about what these guys have to offer. Add to it the amount of unreal free content they have available on their blog. If I had to provide a universal answer to supplement related questions, "do your homework'' seems to be an answer I just can't shy away from. Fortunately there are people like the folks at Examine to make that a lot easier for you.